Pitof and Bay: My worst nightmare! Saw a little bit of the Catwoman movie on TV again. I remembered why I loath it. Saw a little Transformers also. And I had a thought that made me shudder. I beg of you, Pitof and Michael Bay, do not have a baby together. 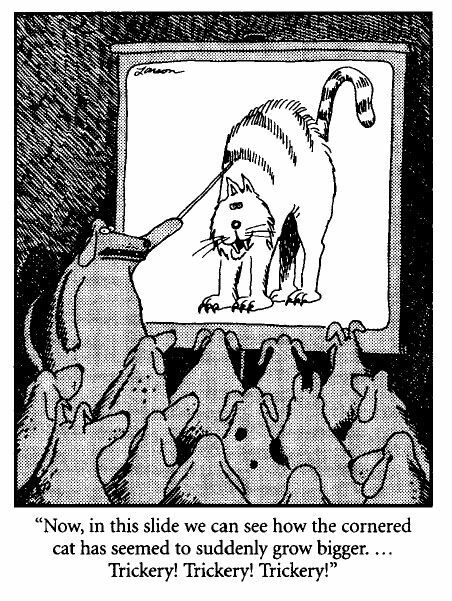 It would be the Antichrist, and its first (and last) movie would turn the audience into an anti-matter hellhorde. Earth go KAH-BOOM!!! The current run of DC Comics Starfire, as written by Jimmy Palmiotti and Amanda Conner, has been lighthearted, funny, and even heart-touching. But DC Comics will soon reboot its universe again (yes, AGAIN). Starfire soon ends its current run with issue 12. From what I can find so far, she’ll be stuffed into (Teen?) Titans. How will Starfire be portrayed there? 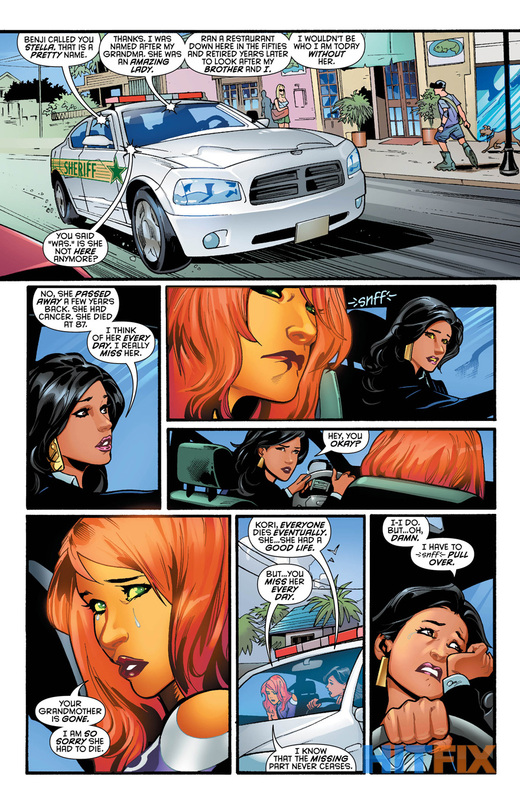 A little heart-touching, from Starfire #1 of the Palmiotti and Conner run? Posing for the oh-so-tuff-macho-males is not outlawed, but making Starfire do it ought to be.